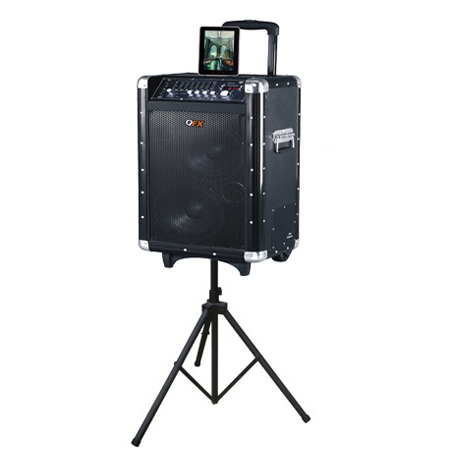 Very Lightweight, Compact, Modular and portable Line Array. 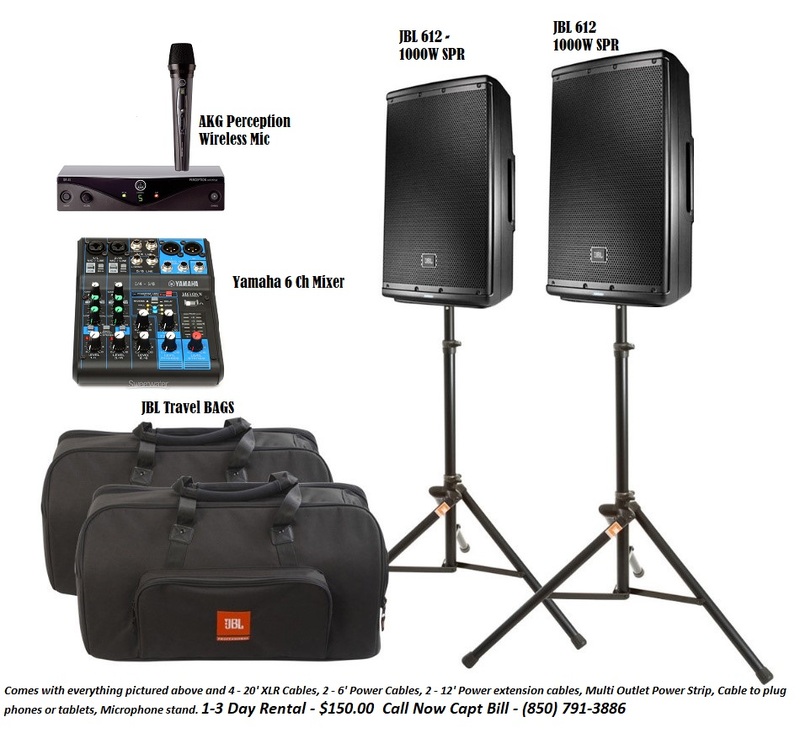 2 – JBL EON612 w/transport bags and power cables – 2 – QuikLok “Air” Speaker Stands w/transport bag – 1 – Yamaha 6 channel audio mixer w/transport bag – 1 – AKG Perception wireless mic system w/transport case – 4 – 20’ XLR Cables – 2 – 15’ Power extension cables – 1 – 25’ Power extension cable – 1 – Multi outlet power strip – All interconnect cables including tablet or device cable. ADD this SUB to any of our systems or to your system and now you have a dance area that vibrates with the punch you think you should have. $50 for 3 day rental – includes power cable, transport cover – when used with one of our systems – it includes the appropriate matching cables. 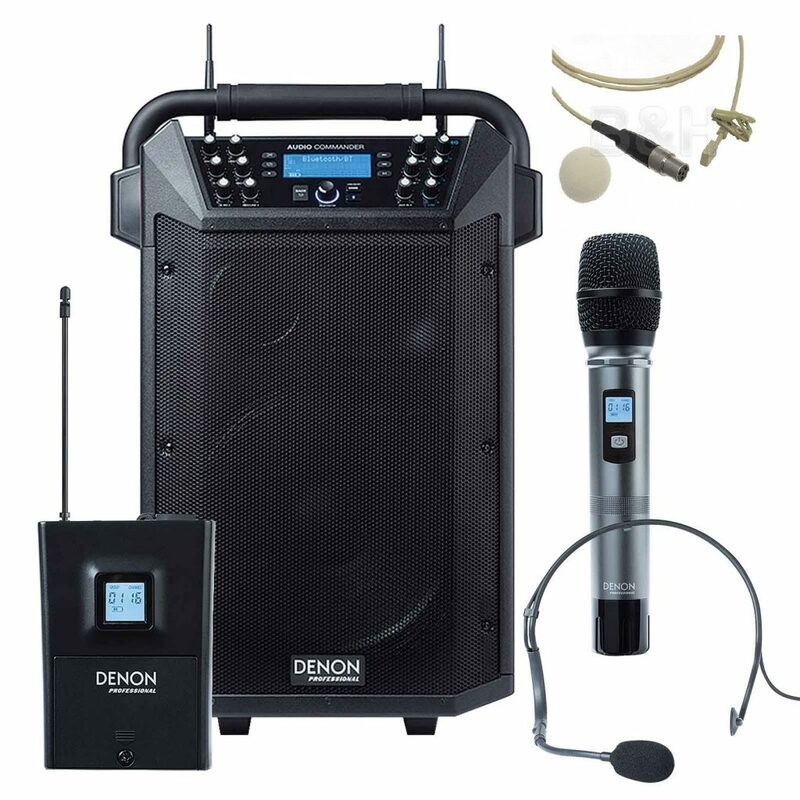 1 – VHF wireless microphone with a 50-foot range and Vocal Effects. 1 – Blue Tooth Streaming Audio, Tablet, SD Card, USB inputs. The PA features a built-in rechargeable battery, allowing for several hours of operation. Sonic control over your audio is provided via a 7-band graphic EQ in addition to bass and treble controls. Its built-in wheels and telescoping handle are designed to simplify transport and the included tripod stand easily stands up in the sand or most any surface you can have a wedding ceremony at. 1 – UHF – Handheld wireless microphone with a 50 foot range and Vocal Effects. 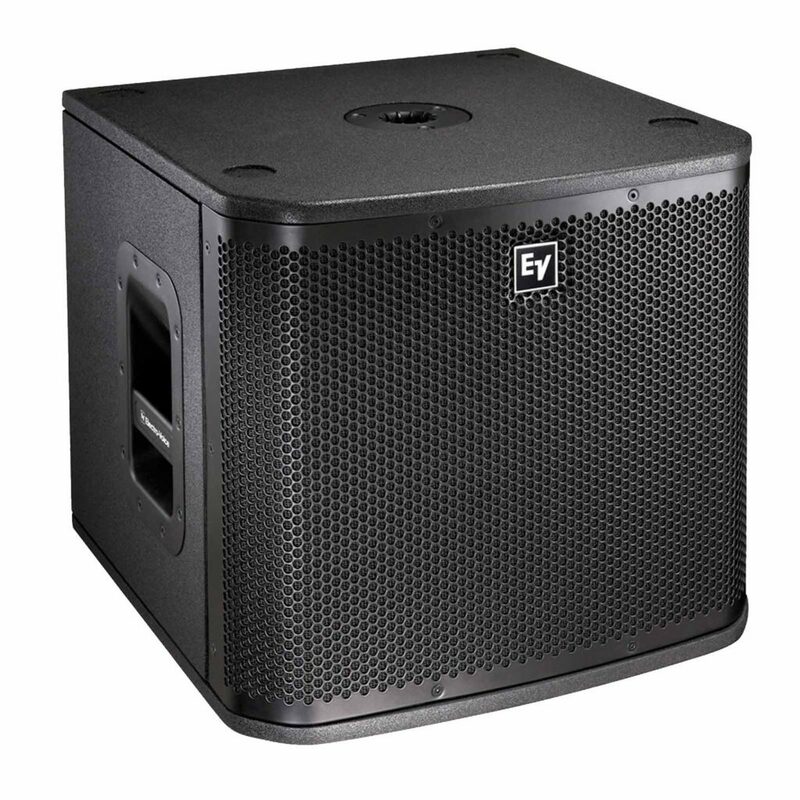 The PA features our most powerful audio yet in a battery operated system. Awesome sound with 12″ low frequency sub and 1″ hi frequency compression driver. built-in rechargeable battery, allowing for several hours of operation. Sonic control over your audio is provided via bass and treble controls. 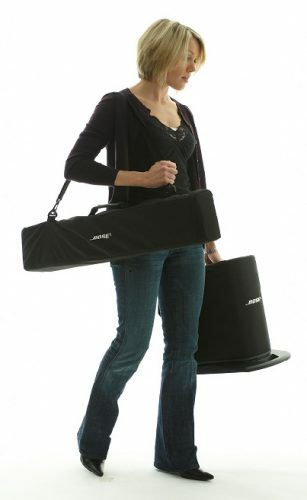 Its built-in wheels and telescoping handle are designed to simplify transport and the included tripod stand easily stands up in the sand or most any surface you can have a wedding ceremony at.